It must be a happy Cody day today. 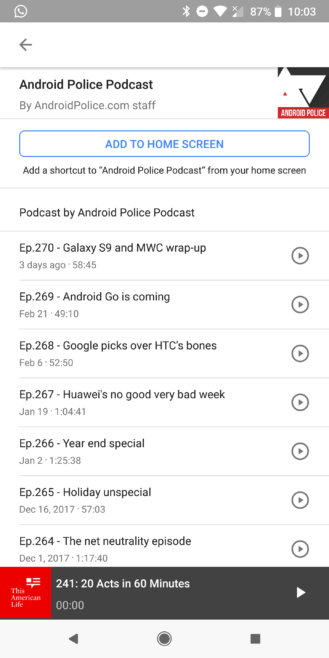 After Google Maps' Shortcuts, another feature he has been tracking for months in his teardowns is starting to go live: podcast subscription and management in the Google app. Ever since 2016, when podcasts rolled out in Google Play Music, we have been able to search for a podcast and play an episode right from the Google app / Google Search. 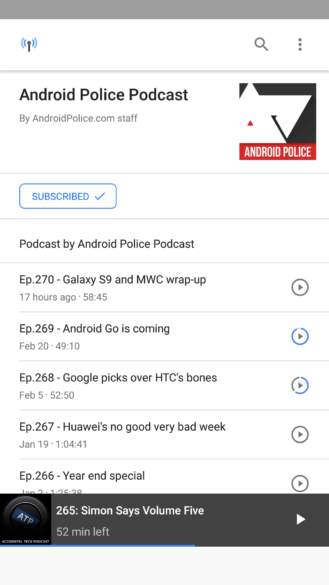 However, starting in May of last year, Cody started uncovering signs of better podcast support coming to the Google app and Assistant, and now we have the first look at what they may look like. 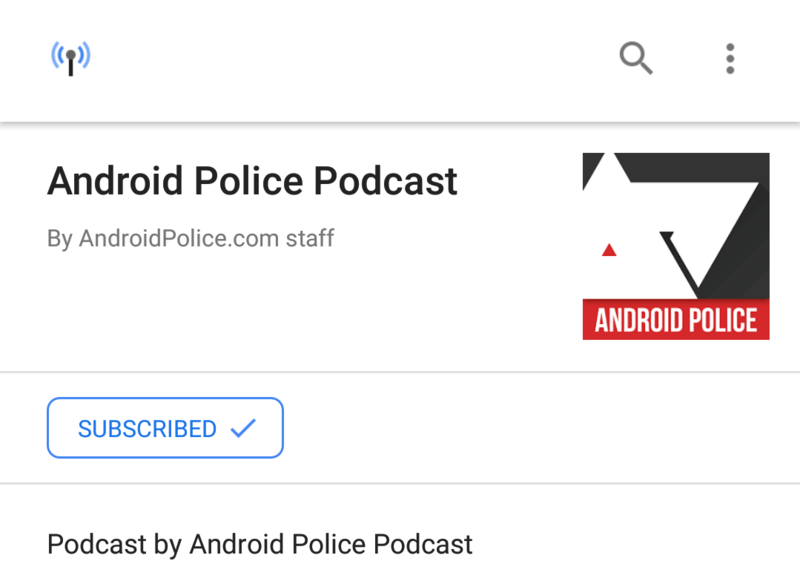 When searching for a podcast, our tipster sees a new option to Subscribe below the name and icon banner. 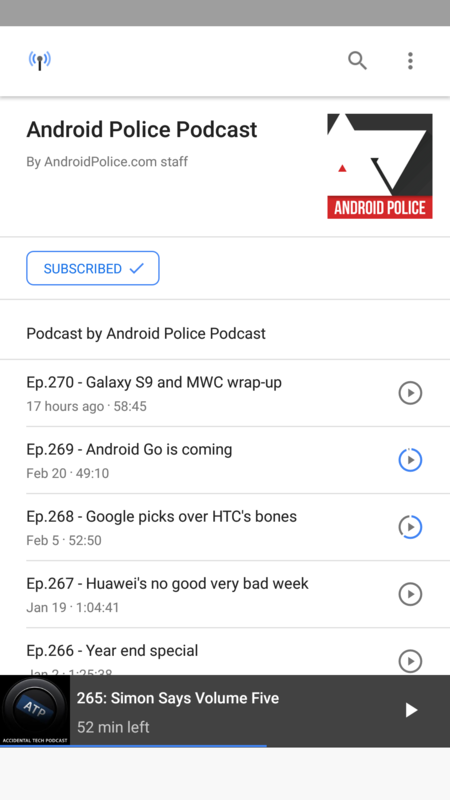 The title bar gets a new podcasts icon and name and a new search icon is on top, though I'm not sure if it searches for keywords in this specific podcast, searches only the podcast directory, or goes back to a regular Google Search. An overflow menu brings the Add to home screen shortcut as well as the Edit podcasts option where you can manage your subscriptions. 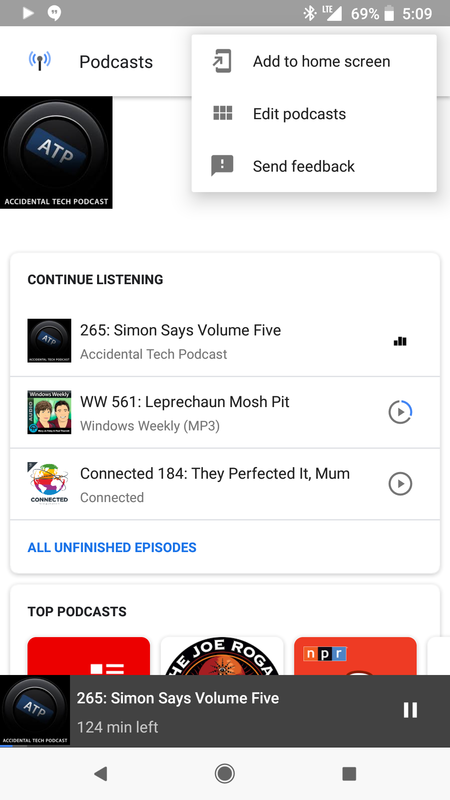 Scrolling down also reveals a Continue listening card with unfinished episodes as well as other podcast recommendations. By comparison, below is the interface I see when I search for a podcast now: no unsubcribe button, no search icon, no overflow menu, and only an Add to home screen option. If I scroll down, I also see the list of episodes from the podcast, without the Continue listening or Top podcasts cards. However, Google manages to retain my last playback position in podcasts, so I can ask Assistant to "continue last played podcast" and it resumes the episode and location where I left off. There are still a few questions regarding the new interface. 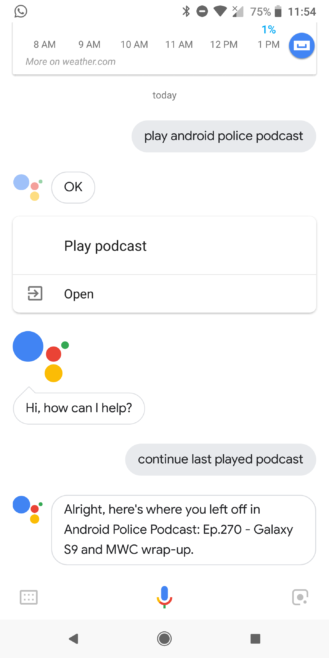 For example, we don't know if downloading episodes is already available or if you can find your list of subscribed podcasts anywhere but through a search (somewhere in the Assistant settings maybe, next to News? ), but at least the function is starting to roll out now. Try it out and let us know if you have it on your devices.